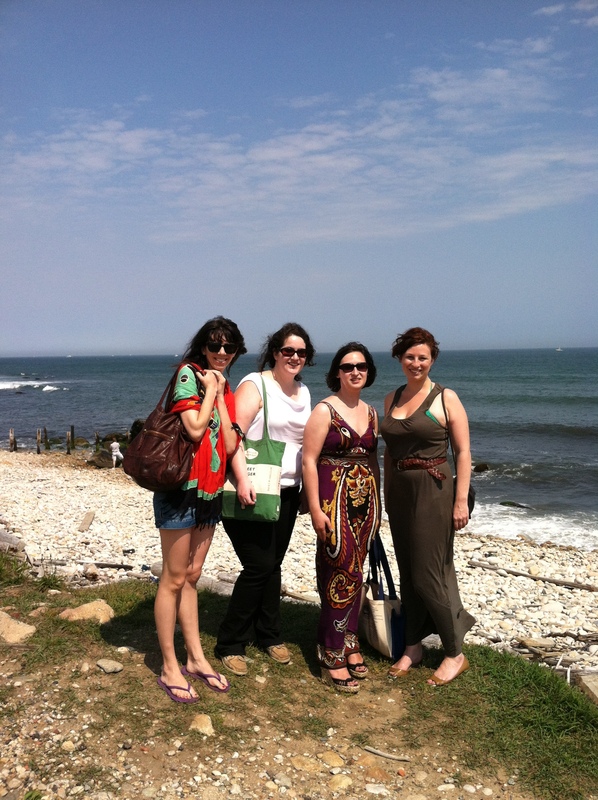 Saturday in Montauk, we explored the area. 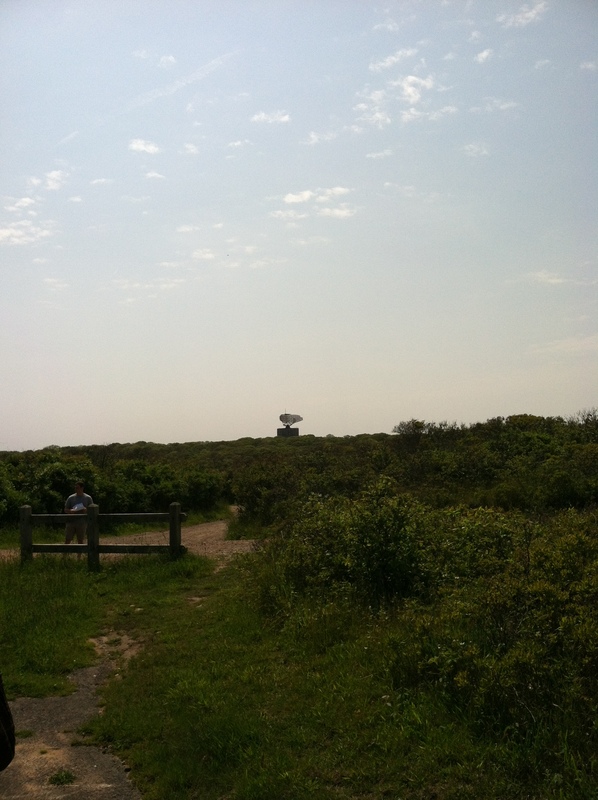 First, we went out to Camp Hero, the actual tip of Long Island. Also, home of the Montauk Project the Area 51/LOST in real life of New York. There were signs telling us to watch out for unexploded landmines. The Camp Hero radar. No one in our group slipped back in time, luckily. After hiking a bit, we walked down to the beach. It was too cold, rocky, and rough to swim here. 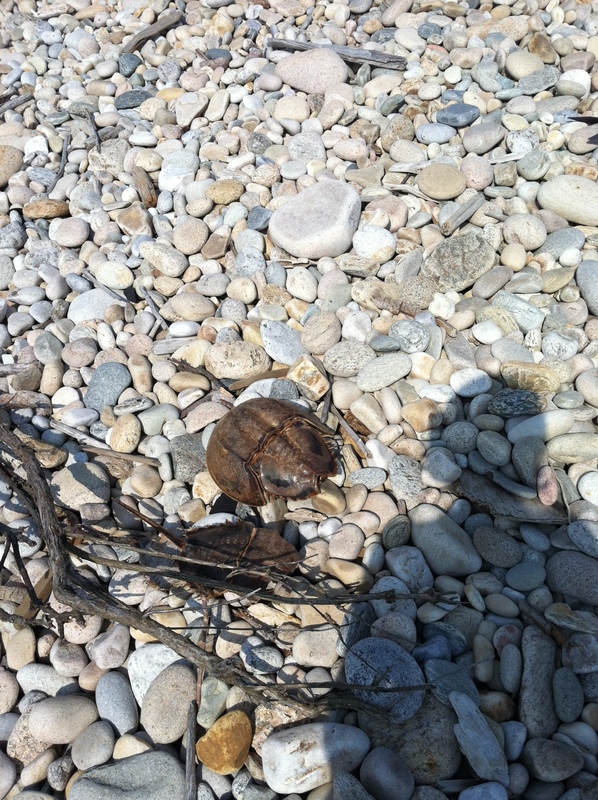 I might not have found any evidence of a government conspiracy, but I did find a giant horseshoe crab shell. I would hate to have run into that guy while swimming. 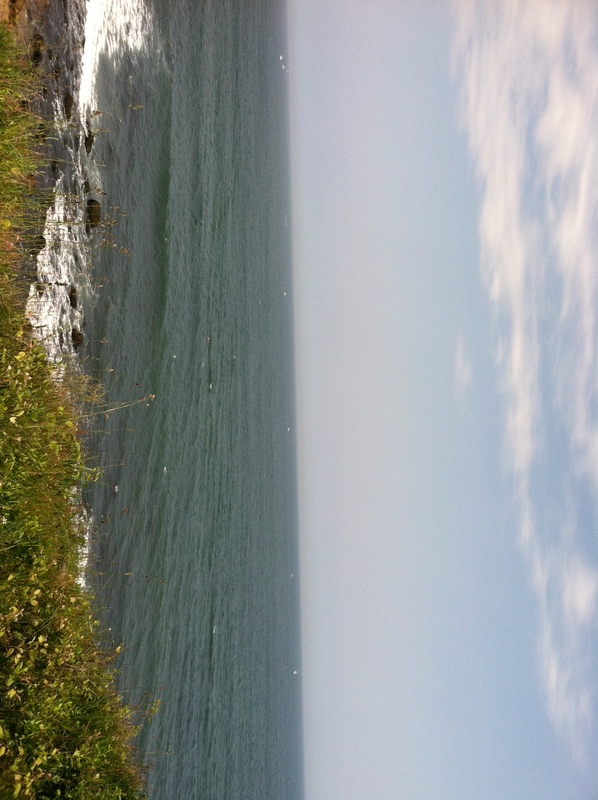 Check back later this week for more Montauk adventures.